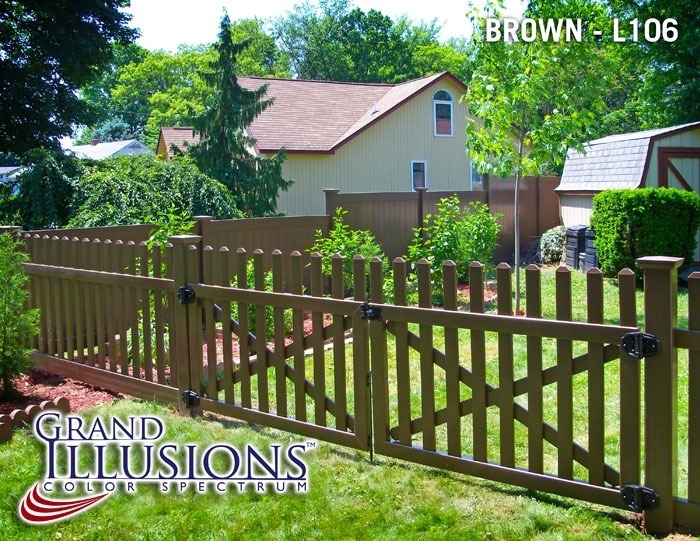 Illusions Vinyl Fence’s Grand Illusions Color Spectrum Landscape Series Brown (L106) was featured on the front cover of the Home and Garden section of the Southern Dutchess News, Northern Dutchess News, and Beacon Free Press. The article also features Adams Fences. The team of Adams Fences and Illusions Vinyl Fence is winning over more new customers every year. Such is the case with a client in Catskill who was seeking privacy, heavy-duty design and construction, plus beauty and style in a color that blended well with the home, property and other surroundings. Joshua Lehrer of Adams provided the initial consultation and general manager Ken Fredericks and his staff provided the installation. Adams Fences is an established business with over 30 years of service in the Mid-Hudson Valley, with a commitment to quality that is backed by the Adams name. Fredericks and his experienced staff always provide free estimates, extra attention to detail, superior workmanship and quality products. 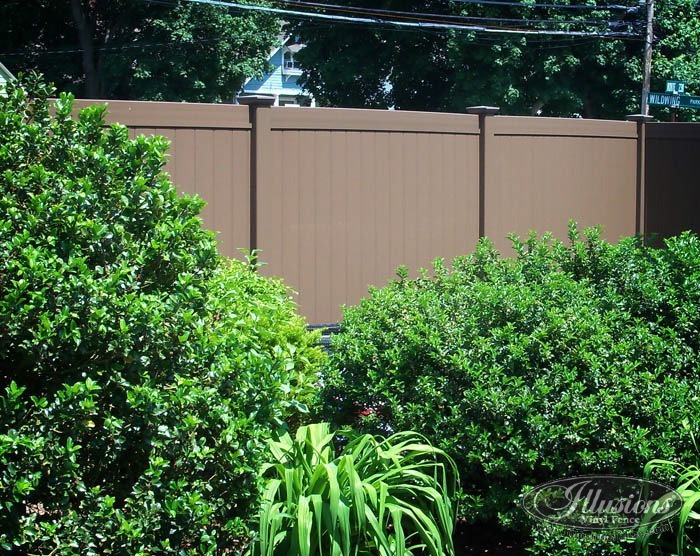 Illusions Vinyl Fence is manufactured in state-of-the-art facilities by a company that has been manufacturing and distributing fence products for over 40 years. All of the vinyl products are made with only 100% pure virgin vinyl and meet or exceed ASTM (American National Standards Institute) F964 specifications. Color Vinyl Fence and Woodgrain Vinyl fence are now available through the new Grand Illusions Series. You can view the gallery or try out the Illusions Fence Design Center to create your own colorful landscape at www.illusionsfence.com. The Grand Illusions Color Spectrum Color Vinyl fence colors have been specifically chosen to match other household accents, such as shutters, trim, doorways, siding, etc. The Grand Illusions Vinyl WoodBond series of wood grain vinyl fence is one of the most amazing products to hit the fence industry since vinyl fence itself. The phrase used most often by people seeing it in person is ‘game changer.” The grains look real, even up close and personal. The Designer Series (custom color matching to any swatch). Think colors such as Atlantic Blue, Colonial Yellow, Barn Red, or Forest Green on a vinyl fence. All are finished off by Sky2Blue Shield that resists fading, scratching, peeling and flaking. The Sky2Blue Shield provides scratch protection against normal wear and tear. 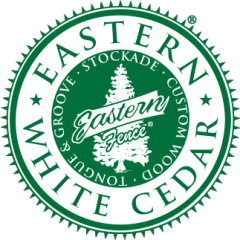 Adams Fences also features Maintenance Free Ornamental Aluminum Fences, Custom Quality Cedar Fences and much more. They also carry post and rail fences and chain link for dog kennels and other needs. Allow Adams Fences to show you their full line of quality outdoor wood furniture, sure to complete your outdoor living space.